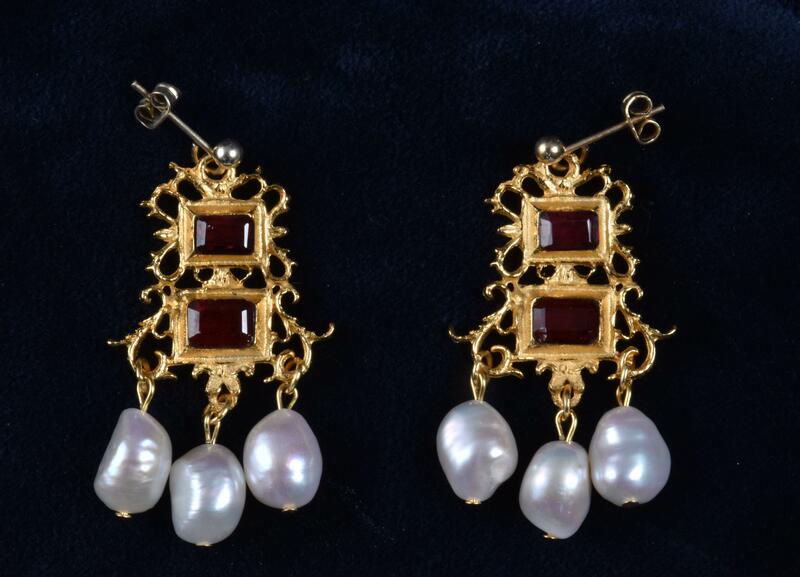 Using part of the design of the 1600 Pendant, these earrings are set with garnets. The earwire is gold plated (nickel free). With freshwater pearls.